The Definitive Reference to Great Golf Courses in AmericaBy Darius Oliver Foreword by Ben CrenshawA companion volume to the hugely successful Planet Golf which Golf Magazine called "absolutely superb, a stunning achievement", this gorgeous book features superb photographs and detailed reviews of more than 140 of America's finest golf courses. 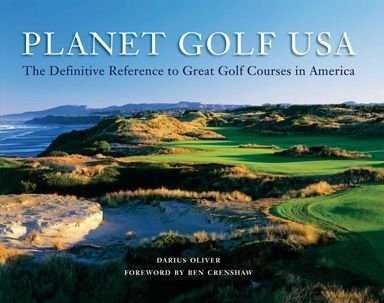 Author Darius Oliver visited each course reviewed and provides you with a detailed ratings section that outlines the best, hardest and most dramatic courses and holes in the US, as well as a unique Planet Golf World 100 ranking that selects the finest courses on the planet. If you have any questions about this product by The Booklegger, contact us by completing and submitting the form below. If you are looking for a specif part number, please include it with your message.